According to the 1860 census, nearly 350,000 native northerners resided in a southern state by the time of the Civil War. Although northern in birth and upbringing, many of these men and women identified with their adopted section once they moved south. 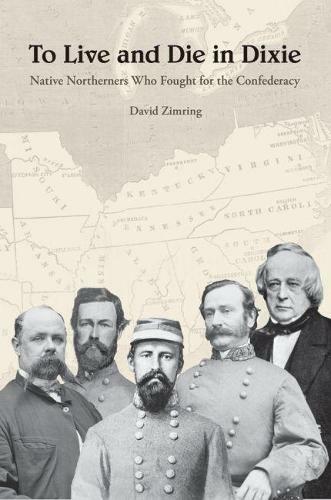 In this innovative study, David Ross Zimring examines what motivated these Americans to change sections, support (or not) the Confederate cause, and, in many cases, rise to considerable influence in their new homeland. By analyzing the lives of northern emigrants in the South, Zimring deepens our understanding of the nature of sectional identity as well as the strength of Confederate nationalism. Focusing on a representative sample of emigrants, Zimring identifies two subgroups: "adoptive southerners," individuals born and raised in a state above the Mason-Dixon line but who but did not necessarily join the Confederacy after they moved south, and "Northern Confederates," emigrants who sided with the Confederacy during the Civil War. After analyzing statistical data on states of origin, age, education, decade of migration, and, most importantly, the reasons why these individuals embarked for the South in the first place, Zimring goes on to explore the prewar lives of adoptive southerners, the adaptations they made with regard to slavery, and the factors that influenced their allegiances during the secession crisis. He also analyzes their contributions to the Confederate military and home front, the emergence of their Confederate identities and nationalism, their experiences as prisoners of war in the North, and the reactions they elicited from native southerners. In tracing these journeys from native northerner to Confederate veteran, this book reveals not only the complex transformations of adoptive southerners but also the flexibility of sectional and national identity before the war and the loss of that flexibility in its aftermath. To Live and Die in Dixie is a thought-provoking work that provides a novel perspective on the revolutionary changes the Civil War unleashed on American society.